In April 2013, the law firm of Giskan Solotaroff Anderson & Stewart filed a class action lawsuit against Penguin and its scamtastic vanity press, Author Solutions. The case survived several motions to dismiss, and this past February it completed discovery and filed for class certification. 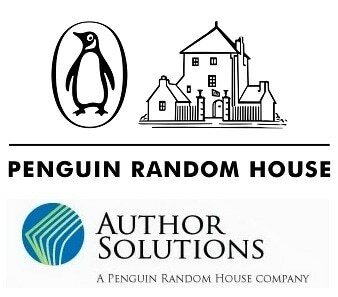 Now Writer Beware reports that the same law firm has filed a second class action against Penguin Random House and Author Solutions. The new suit was filed in Indiana on behalf of a couple authors in California, and it alleges alleges unjust enrichment, fraud, and that Author Solutions violated UCC code, the California Unfair Competition Act, , the Indiana Senior Consumer Sales Act , and the Indiana Deceptive Consumer Sales Act. According to the complaint (PDF) filed on Monday, Author Solutions bilked the plaintiffs out of $25,000 and "over $10,000" by selling them publishing and marketing packages and then not following through and providing the promised services. This comes as no surprise to anyone familiar with Author Solutions. The company has a reputation for running a vanity press operation where its revenue comes not from helping an author distribute and sell books but from selling books and useless services to authors. Those packages aren't a good value, but as we've learned from the discovery in February, the real profit (and the real reason that ASI partners with other companies) is in upselling authors on overpriced marketing packages which ASI then fails to deliver. For example, the filing for this lawsuit details $8,000 one author spent to buy a marketing package. ASI promised to get positive responses from 5 literary agents and place adverts in The Bookseller, New York Times Sunday Book Review, and Baker & Taylor Forecast Magazine. There's no evidence that the adverts were ever placed, and only 4 responses were received from agents, two of which were requests that ASI stop sending spam. And that's just one incident; don't forget that Author Solutions has been running its scams for over a decade, and has fleeced hundreds if not thousands of authors. You can read the complaint (PDF) for more details. Hi i am filming a documentary about this company, and i have all the information about how they scam people, if you are a victim of this scammers, please contact me and join us, with your name and testimony, we are going to sue this company in the philippines, and we will do our best to shut it down, because they deserve that. i hope this message reach all of the victims.